In the third of our exclusive surveys, Shell and Fleet World analysed attitudes to telematics and emerging connected technologies from 252 industry executives to see how data is affecting the way they run their fleets. With respondents operating cars, vans and HGVs, the results suggest diverse attitudes to the benefits this can offer. Telematics is a familiar technology with fleets, with proven and tangible benefits. And, as the cost of technology comes down and the functionality increases, it’s also enjoying broadening appeal. While it’s still most prevalent among heavy goods vehicle operators – 82% of whom said they use it – some 72% of fleets with lighter commercial, and 58% of those with cars, are now incorporating telematics in their vehicles. Respondents reported a multitude of reasons for doing so, but improving fuel efficiency was the most common (63%), closely followed by improving driver safety (59%) and cutting costs (58%). Efficiency benefits are well established; analysing data from 10,000 vehicles, AirMax Remote recently claimed a 9.1% improvement in fuel economy as a result of fitting telematics. By monitoring behaviour, operators can promote more mechanically sympathetic driving, slashing maintenance costs, improving safety, and avoiding vehicle downtime, all helping to cover the outlay. Factors which are particularly important to large fleets – those with fewer than 25 vehicles were far less likely to use telematics at all. 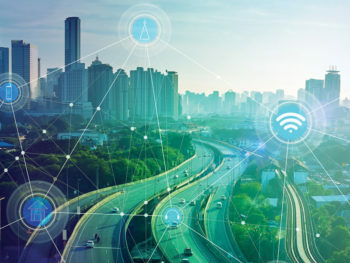 Telematics is a changing industry, and the capability of the technology is expanding rapidly, against a backdrop of faster mobile data connections and increasingly connected cars, vans and trucks. Utilising data from the on-board diagnostic (OBD) port, fleets are now able to monitor the health and performance of vehicles in real time, pre-empting faults and fixing them before they lead to costly downtime. Reading this data is far more common in operators of the hardest-working vehicles; heavy goods vehicles were twice as likely to use OBD monitoring (75%) than the overall average, and perhaps unsurprisingly demand is skewed towards those covering the longest distances. Granularity is improving as well, as vehicles create more data and overlay it with other sources and compare with peers. It can identify which vehicles, engines and fuels fit specific regions and industries, and even suggest which aren’t needed at all. This data can also provide detailed pictures of potential accident and traffic blackspots, helping to show where improvements are needed in the road network, helping to benefit society as well as those who are directly deploying the technology. The bigger picture for telematics, is that it can be part of what’s known as the ‘Internet of Things’ – where devices of all kinds share data to improve efficiency. Most notable, for businesses at least, is the smartphone. According to the GSM Association, which represents mobile network operators, 85% of Europe’s population has a mobile phone, and 70% of those are smartphones. Connection speeds and reliability of mobile data, and processing power of the devices, is also on the up; 5G connections are already being rolled out, and broadband-fast 4G connectivity will become the world’s most common network technology during 2019, according to the association. In turn, it means most drivers will have a device on board capable of connecting to a high-speed data network, plus a GPS antenna and accelerometer – the basics of a telematics ‘black box’, without any need to hard-wire into the vehicle itself. So, it’s hardly surprising that almost half of fleets surveyed (49%) said they are now using smartphone apps to monitor their drivers and vehicles. However, even these results are weighted towards the biggest (200+ vehicle) operators, who are twice as likely (59%) to use apps as those with 25 or fewer vehicles on fleet. The usage also differs, with small fleets tending to primarily use apps for journey planning and routing, while the largest operators found it useful for monitoring driver safety and underpinning accident management. This could be because routing functions among larger operators are handled by a standalone telematics system. These apps don’t necessarily have to report back to the operator, they can just make life easier for business travellers. Shell’s Fill Up and Go service enables long-distance drivers to skip queues at service stations by paying for fuel through the app, for example. Spark EV Technology, meanwhile, has a plug-and-play system which combines live and historic data to predict the range of an electric vehicle and suggest places to charge en route. And both Daimler and Jaguar have also recently launched apps which can analyse drivers’ daily usage and suggest whether they are able to switch into an electric vehicle. Tech-savvy operators can also take advantage of wearables – a market which increased 10.3% globally, to 115.4m units in 2017, according to the International Data Corporation – to help drivers keep track of their health, breaks and sleep patterns. Some 58% of respondents said they already use this technology with their drivers. Respondents were unanimous about the benefits of telematics and connected technology in vehicles, but many still expect or have experienced resistance from drivers and senior management when rolling it out. This resonates with prior Shell research, in which over half of fleet managers surveyed said they had faced negativity within the business while looking to deploy this sort of technology. So, how do you get buy-in from co-workers? For drivers, the ‘carrot’ approach is better than the ‘stick’, and ‘gamification’ – turning better driving into a game for end-users – is becoming more common. The latest version of Lightfoot’s driver behaviour monitoring solution, which launched last year, put an emphasis on creating league tables for drivers. This not only allows them to compare their performance to their peers, but it drives behaviour improvements by offering prizes for the most efficient, mechanically sympathetic drivers. The company claims a 15-20% reduction in fuel costs, while also cutting accident rates and vehicle maintenance bills. For operators, it demonstrates a commitment to employee health. Optimising routes to avoid traffic hot-spots and dangerous junctions helps reduce stress for drivers and can avoid unnecessarily long working hours too. Interestingly, many of those surveyed reflect a positive attitude from drivers. Some 39% said they saw it as a way to attract staff, while 34% added that it would help to retain them. That’s significantly higher among HGV operators, 70.2% of whom said it was a useful technology when hiring drivers. However, it is seen as less beneficial for those with lighter vehicles, who were more focused on the driver safety improvements it can offer. Ultimately, though, drivers will expect the sort of ‘on-demand’ services they get at home during their working lives. With the rise of ‘Mobility as a Service’ and expectations of seamless, multi-modal mobility, with one-source billing, the world is becoming more data-focused. For fleets, the picture is clear; data is invaluable – ignore it at your peril.